NEW YORK (AP) — Hundreds of pages of court records made public Tuesday revealed that special counsel Robert Mueller quickly zeroed in on Michael Cohen, President Donald Trump’s former personal attorney and fixer, in the early stages of his Russia probe. The heavily blacked-out records, released by a judge at the request of news organizations, show that Mueller was investigating Cohen by July 2017 — much earlier than previously known. That was two months after Mueller was appointed to investigate Moscow’s election interference and practically a year before an FBI raid on Cohen’s home and office. The full scope of Mueller’s interest in Cohen is not clear from the documents, which include search warrant applications and other records. More extensive files from the special counsel investigation remain under seal in Washington. But the documents made public Tuesday show that Mueller’s investigators early on began looking into possible misrepresentations Cohen made to banks to shore up his financially troubled taxi business. They were also initially interested in money that was flowing into Cohen’s bank accounts from consulting contracts he signed after Trump got elected. Prosecutors were looking into whether Cohen failed to register as a foreign agent. The newly released documents indicate authorities continue to probe campaign violations connected to those hush money payments. Nearly 20 pages related to the matter were blacked out at the direction of a judge who said he wanted to protect an ongoing investigation by New York prosecutors. Cohen ultimately pleaded guilty to campaign finance violations over those payments. He also pleaded guilty to tax evasion, making false statements to banks and lying to Congress about Trump’s plans to build a skyscraper in Moscow. He was not charged with failing to register as a foreign agent. The FBI raided Cohen’s Manhattan home and office last April — the first public sign of a criminal investigation that has proved an embarrassment for Trump. The newly released records show that several months earlier, in July 2017, Mueller’s office got a judge to grant him authority to read 18 months’ worth of Cohen’s emails. In their investigation, Mueller’s prosecutors also obtained Cohen’s telephone records and went so far as to use a high-tech tool known as a Stingray or Triggerfish to pinpoint the location of his cellphones. FBI agents also scoured Cohen’s hotel room and safe deposit box and seized more than 4 million electronic and paper files, more than a dozen mobile devices and iPads, 20 external hard drives, flash drives and laptops. Tuesday’s release of documents came nearly six weeks after U.S. District Judge William H. Pauley III partially granted a request by several media organizations, including The Associated Press, that the search warrant be made public because of the high public interest in the case. 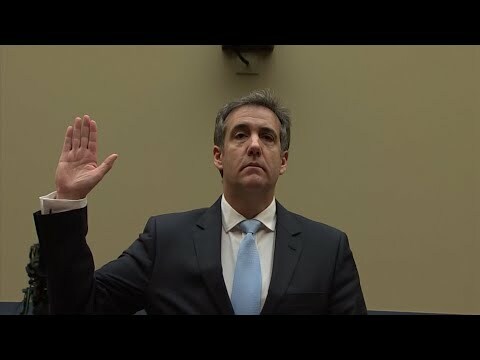 “The unsealed records provide significant insight into the investigations of Michael Cohen and serve as an important safeguard for public accountability,” AP’s director of media relations, Lauren Easton, said Tuesday.